When it comes to fashion and design, the city of Milan in Italy, can be considered the Mecca for the cults of duty. Clothing, shoes, decoration objects, lamps and furniture. In this universe of colors and shapes, the motorcycle can also be considered an object of desire. For the first time the theater houses the exhibition of Design Nerocarbonio (literal translation: carbon black), part of Milan Design Week. The show, held until April 27, presents an innovative approach to the use of carbon as a new aesthetic concept. Used in spacecraft and cars of Formula 1, this material is now available for the manufacture of items of decor, accessories and even parts for motorcycles. To meet these concepts, the Nerocarbonio is a unique exhibition of objects designed by Alberto del Biondi Industrial Design. 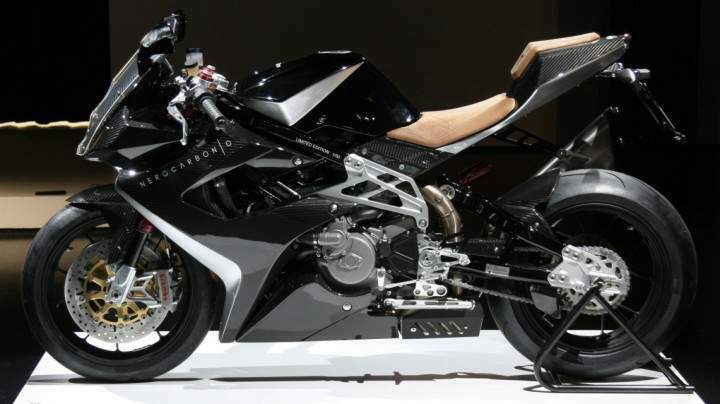 Among the pieces are the lights of Ono Luce, the tissues of Keidea and a new version of the Bimota DB7 motorcycle. "To explore new markets, we realize that was not enough to give only our know-how. Also had to focus on creativity and aesthetics. So the call Alberto del Biondi, who in recent years has shown great versatility in the realization of projects of international scope, "says Mattia Mazzucato, from Oria Srl, responsible for the industrialization of Nerocarbonio objects. 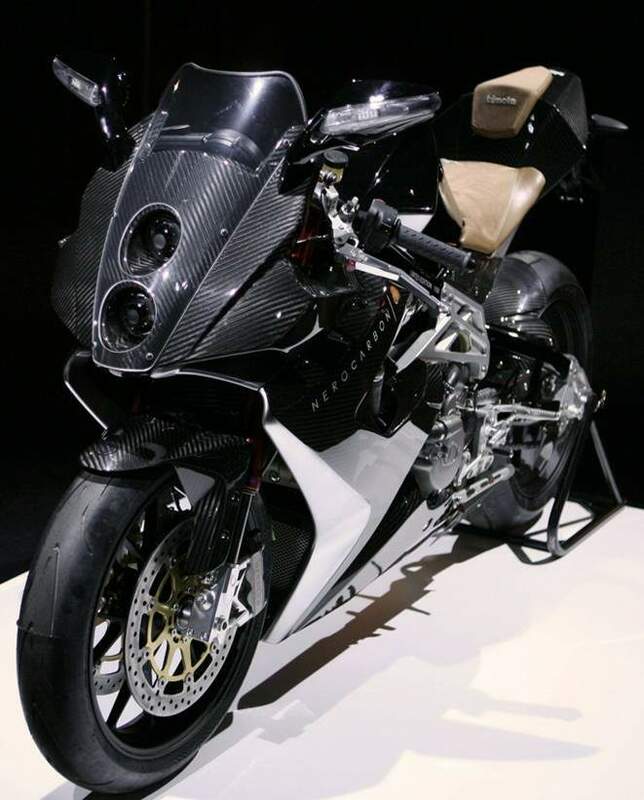 Depending on the collaboration of the Italian Bimota born of a limited edition DB7 "dressed" with the carbon black. The assembly will be manufactured only 50 copies of the sports brand. To further emphasize the exclusive and the use of carbon, some parts - mud-stop, careen front, and protector of rabeta tank - received a special varnish. The film highlights the strength and image of the material, creating a fusion between design and technology. For those not familiar with the history of Bimota, we compare the Italian manufacturer with a real "design studio", that due care in implementing the projects, which represent the best combination of beauty, technology and functionality. 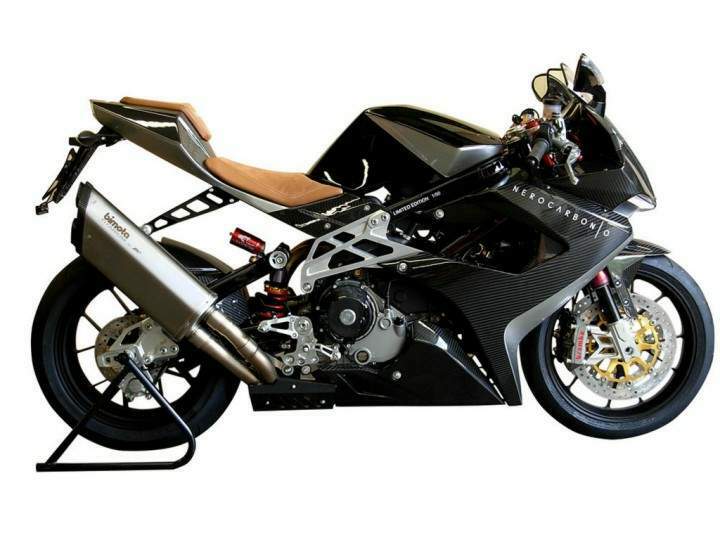 Craft built in the Bimota models can be considered a work-of-art, as a product of imagination and creativity of designers, engineers and technicians with forms that combine high performance. Fair in Milan in 2008, presented to the assembler version Oro Nero, a mix of exclusivity and refinement. That is, the Italian brand accessories not spared from the first line and parts in carbon fiber. The DB7 superbike brings a true "cuore" Italian. 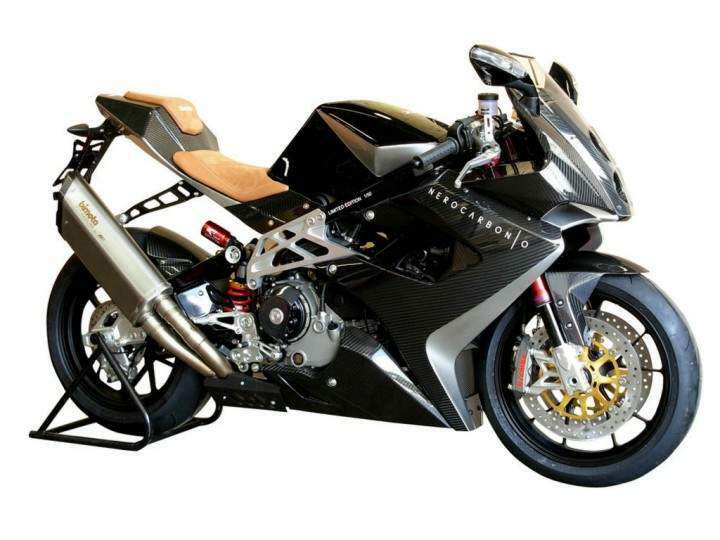 Ie uses the same engine as the Sport Ducati team in 1098. It is bicilíndrico in "V" to 90 of 1,099 cm ³ with cooling liquid. Lightweight and powerful, the propellant of Bimota has a 10,700 rpm 160 bhp power and 12.5 declared kgf.ma 8000 rpm of maximum torque. With these numbers, the engine ensures power and performance to cause envy in any sport. The DB7 USA in a truss, traditional Bimota and Ducati's. The suspensions are fully adjustable and incorporate the latest technology developed for the racetrack. In front the USA a system of Marzocchi inverted fork tubes with a diameter of 43 mm and 120 mm of travel. One of the highlights of the cyclists and the balance back to monochoque system, provided by Extreme Tech TTX brand, also with 120 mm of travel. The brakes are the traditional and efficient Brembo with 320 mm double disc in front, and a mere 230 mm from the rear. The wheels are 17-inch forged aluminum alloy, with sidewalks with sports tires Continental Race Attack.